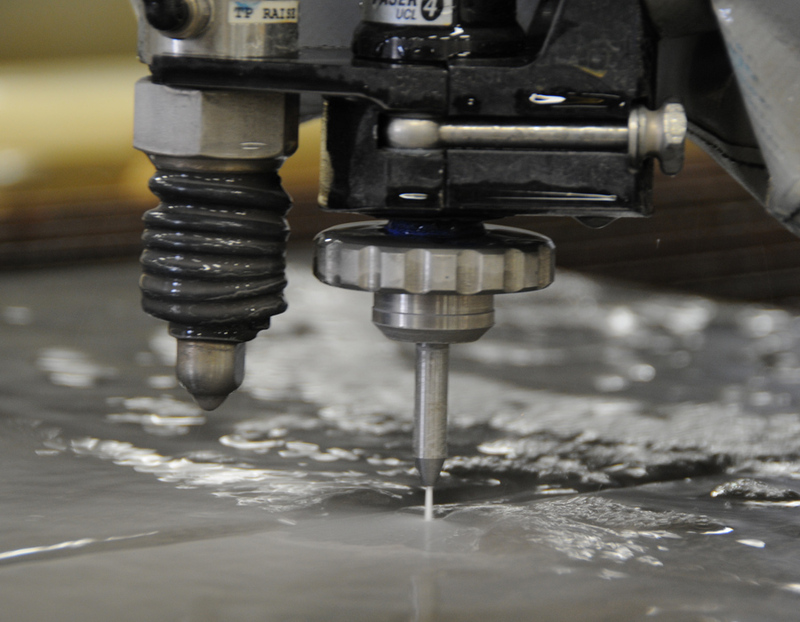 Applied Waterjet, a newly founded waterjet cutting company, was established by industry veterans. They enlisted the help of Humid to create a brand identity and to design and develop their website. Humid conducted a thorough analysis of not only the waterjet industry, but other comparable markets such as laser cutting and 3-D printing. 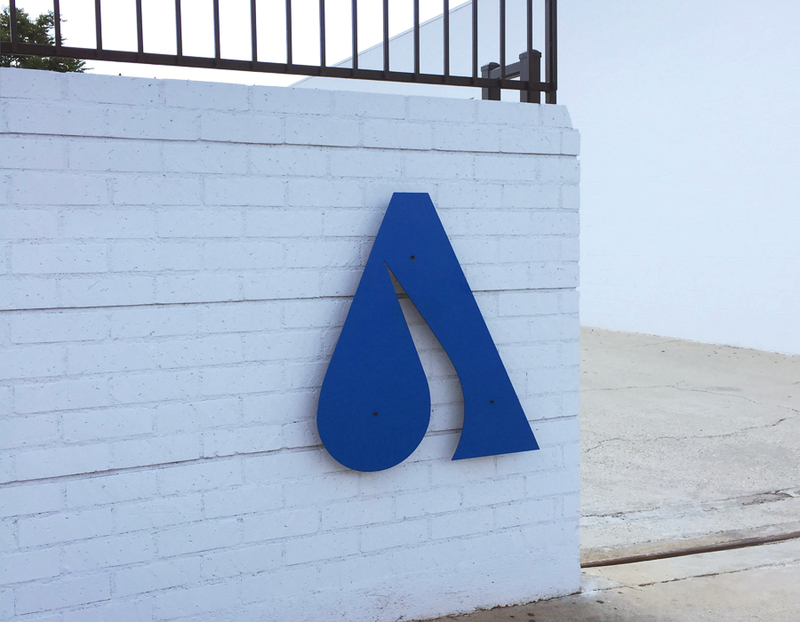 Recognizing the benefits of the waterjet cutting process was an important part to make sure that the brand stood apart. Bold colors and modern type are joined to represent the fabrication industry Applied Waterjet is breaking into. 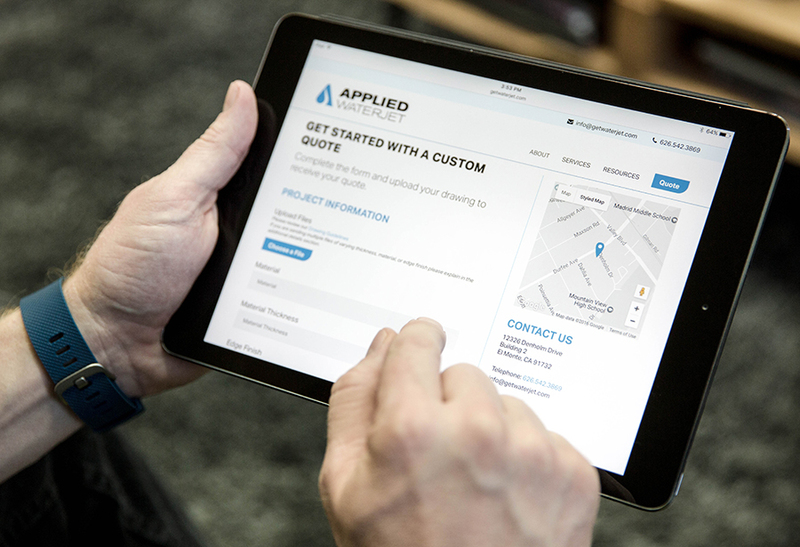 The guys over at Applied Waterjet have a history in the field and a solid understanding of what their customers need, which made it a breeze to create a website that works for their customers as much as it does for them. 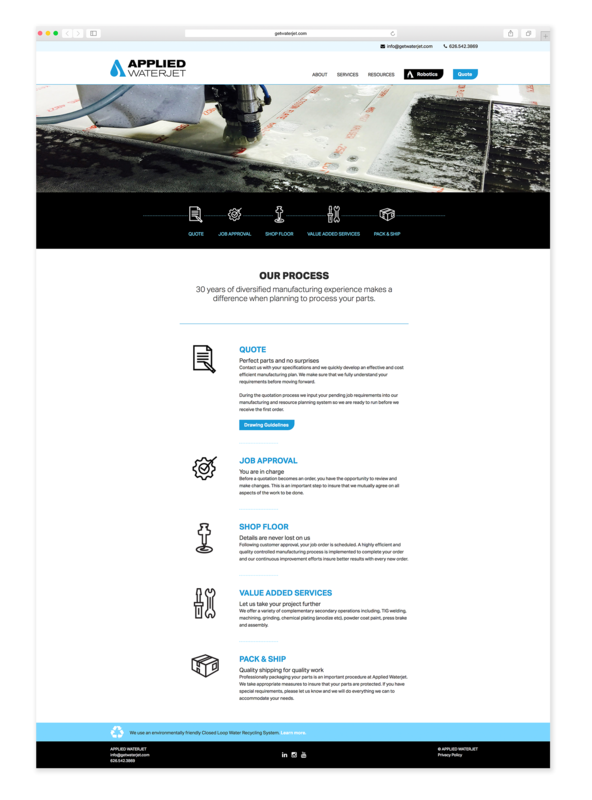 The website was designed to showcase their ongoing portfolio of work, as well as to inform their customers of the benefits of the waterjetting process. The most important item on their list was a customized quoting page that helped them quickly identify what their customers were looking for. The streamlined quote process and simplicity of the site makes it easy for customers to navigate and get their projects started quickly. As a standard at Humid, design and develop all of our websites to be responsive. 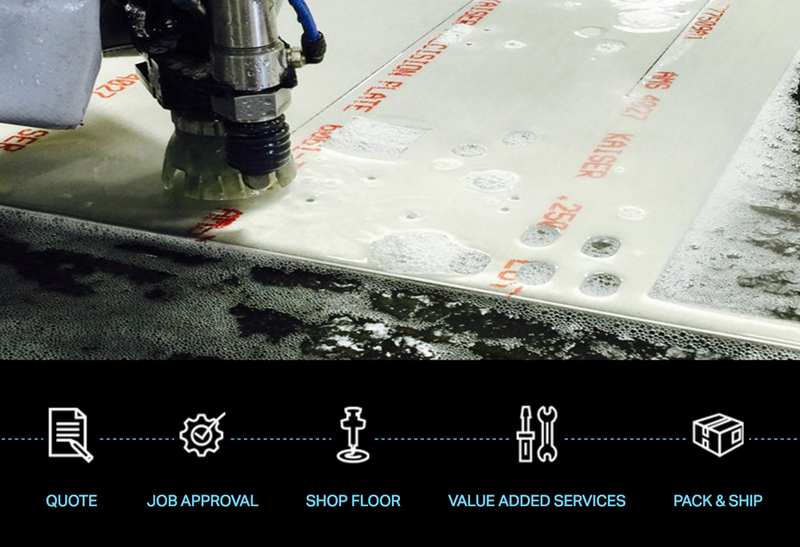 This ensures that Applied Waterjet’s customized quoting page will work for their customers, even when they are on the go. The site also has a flexible, easy-to-use CMS that allows Applied Waterjet to update content as their company grows. The resulting brand identity and online presence convey the quality and professionalism that Applied Waterjet has to offer.